Dhaka, 3 September, Abnews: Chief Election Commissioner (CEC) KM Nurul Huda has said the use of Electronic Voting Machines (EVM)s in the 11th national election will depend upon the training and capability of Election Commission officials as well as support of political parties. 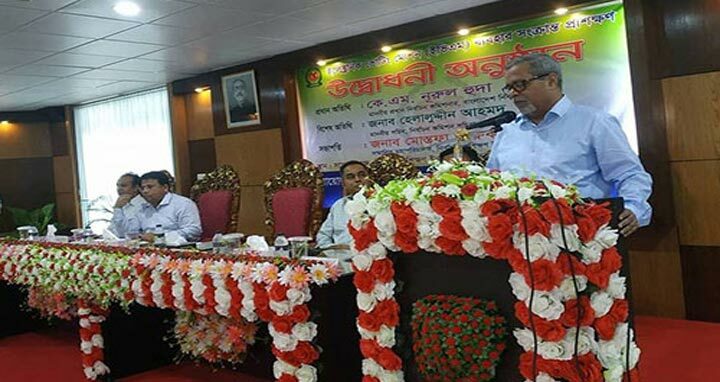 The CEC made the comment while speaking at the inauguration of a two-day training workshop on EVM use at the Election Training Institute (ETI) building in Agargaon in the city on Monday. He said there is still much work to be done before the EVMs are used in the general election. The EVMs will be used in the general election only if the government and parliament find it suitable and amend the law accordingly, he said. Since their introduction in 2010, EVMs have only been used in different local government elections. The commission has already announced that it plans to hold the next parliamentary election in the last week of December.